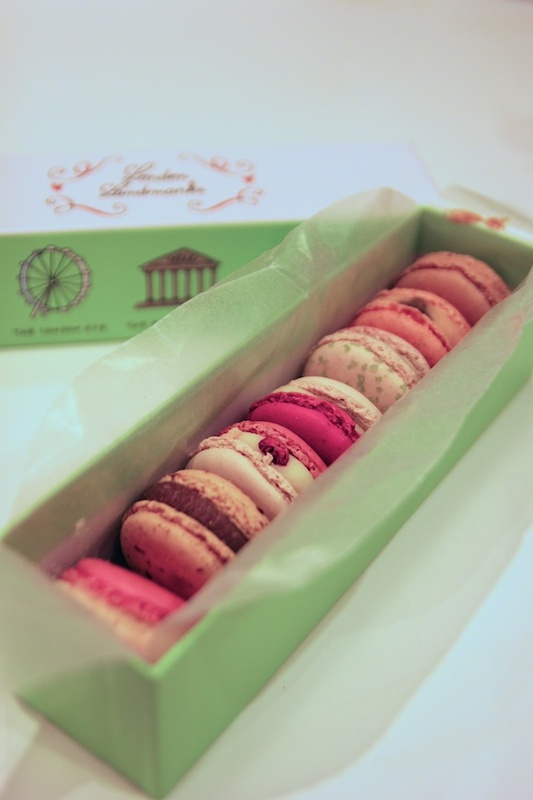 Macarons are one of my favourite guilty pleasures. 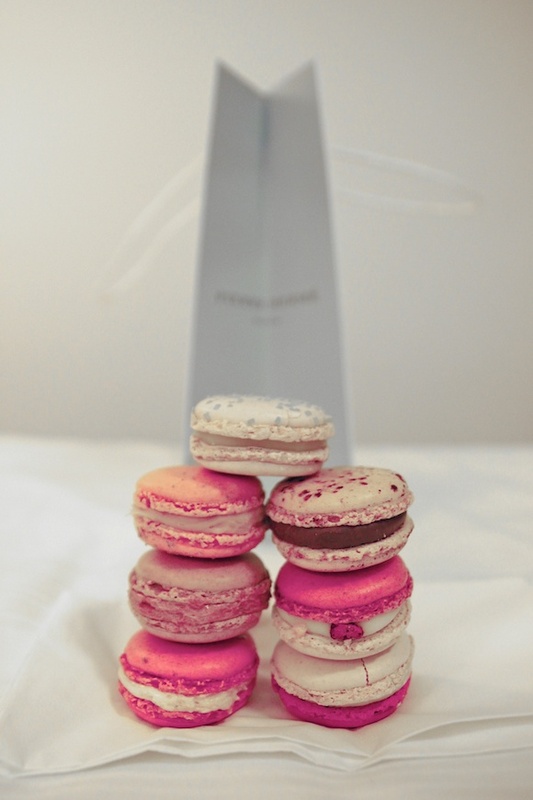 I simply adore these cute little treats; you may even call it a slight obsession. 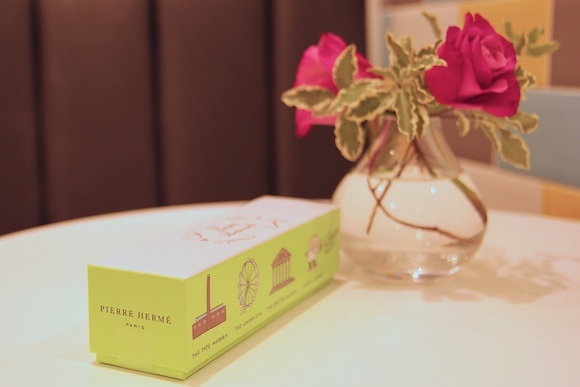 I had heard Pierre Herme macarons are one of the best in the world (along with Laduree which I also had the pleasure of trying), and I couldn’t wait to sink my sweet tooth into them in London. With stores in Paris, London, Dubai, Tokyo and Hong Kong, they are known around the world for their unique flavour combinations. The beautiful display at the London store was so pretty and colourful (unfortunately you're not allowed to take pictures of it). Deciding what flavors to get proved difficult as I wanted them all, but in the end I got a cute box of 7 macarons: salted butter caramel, apricot & pistachio, rose & rose petal, milk chocolate & passion fruit, rose, lychee & raspberry, lime & red berries, and yogurt & raspberry. The verdict? It was love at first bite. 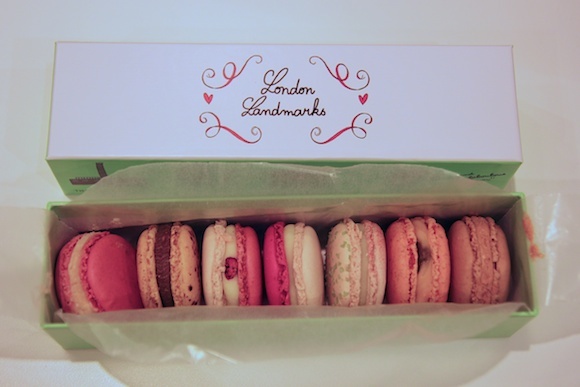 They were simply the most delicious, mouthwatering macarons I’ve ever tasted (it's a tie with Laduree, I love both equally). Light, airy and crispy, they literally melted in my mouth and invigorated my taste buds with delightful swirls of sweet and intense flavours. The flavour combinations worked exceptionally well together and each bite of these beautiful little discs was pure perfection. I was in macaron heaven.